A shift in Baker’s strategy helped us develop a modern platform that celebrated experienced bakers and their collective knowledge to inspire and recruit new bakers to the brand. How do you take a 200-year-old brand with a devoted following and generate awareness and grow share amongst newer, younger bakers? And how do you introduce and get them to adopt an entirely new product innovation? We created a platform called “Bakers Know Baker’s.” For those who know, there’s only one chocolate brand for baking: Baker’s. This platform united all their priorities under one narrative. By shining the spotlight on real bakers, we found a way to not only celebrate the brand loyalty of current Baker’s users, but use them to attract a new core of bakers who are looking to those with more experience for answers. These baker’s stories featured Baker’s products, naturally introducing and drawing attention to Baker’s products, new and old. Bakers purposefully expanded beyond recipes with tips and real stories, positioning them as a modern content provider and source of knowledge for all bakers. Baker’s following was made up of loyal and engaged Gen X women. Our goal was to keep this group engaged while also reaching and engaging a new generation of millennial Bakers. To achieve this we looked at what both audiences had in common and were seeking out - authentic inspiration. We ensured this was the basis of our content, sharing real stories from real bakers and demonstrating how the Baker’s brand empowers them to pursue their passion for baking. We turned their tips, tricks, and recipes into timely and thumb-stopping video content that new and old audiences “liked”, resulting in a 25X higher engagement rate than the industry average. To continue to drive engagement and awareness amongst millenials we produced custom content for the platforms where they were shifting their attention, such as IGTV, making Baker’s the first Kraft Heinz brand on the channel. Pinterest was a big focus for Baker’s in 2018. Knowing that our audience heavily uses the platform for recipe inspiration, we partnered with Kraft’s media team to launch a paid campaign that would drive awareness and consideration for their baking bars and latest innovation, Cookie Ball Kits. In preparation for this campaign, which ran from April through the holidays, we also set out to completely refresh their Pinterest page. 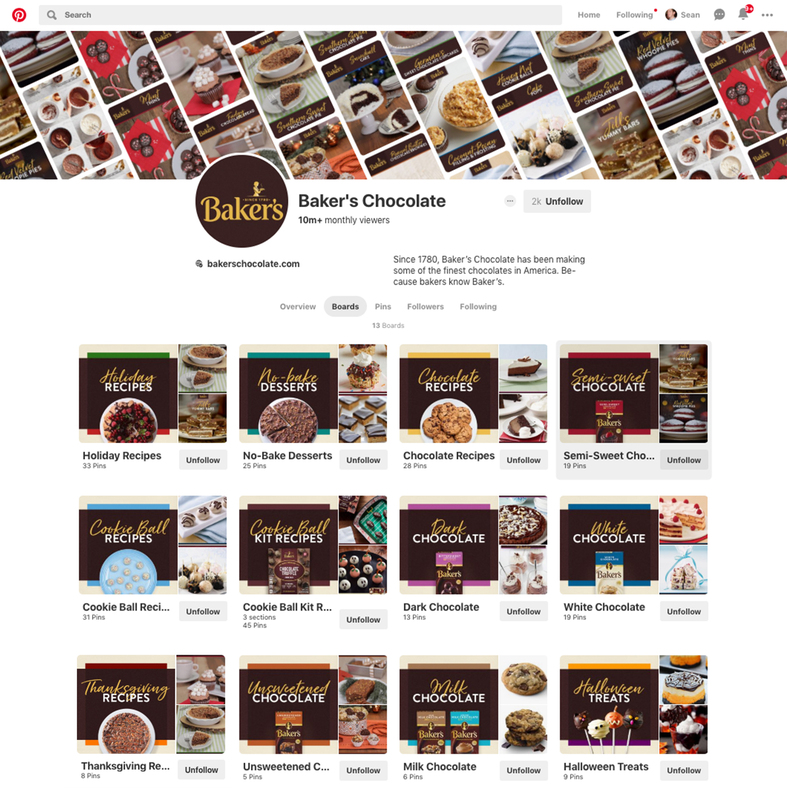 We wanted the page and the pins to reflect the new look and feel of the “Bakers Know Baker’s” platform. Following Pinterest best practices, we created new board images, descriptions, and pins. In total, we created over 100 new pins and assets to support this initiative, giving our audience inspiration for all the occasions, flavors, and recipes they were searching for. Holidays are a priority for Baker’s, especially Q4. 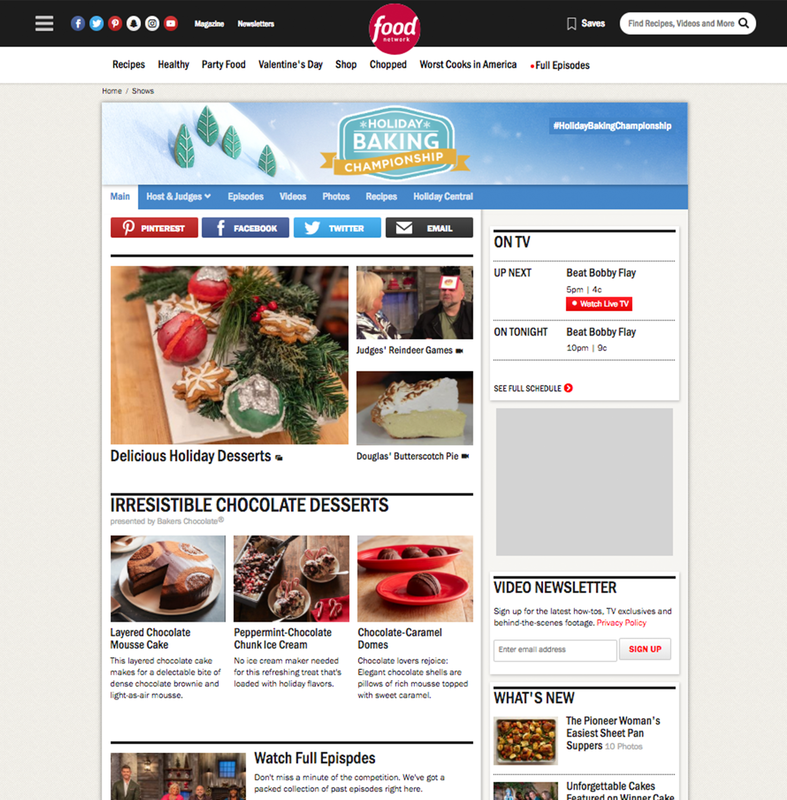 To increase brand awareness and consideration during this time Baker’s partnered with Food Network to sponsor the “Holiday Baking Championship.” The campaign consisted of TV, digital, and social placements on Food Network channels. To supplement the exclusive sponsored episode our team was tasked with organically breaking through Twitter feed clutter, reaching our target audience and inspiring them to use Baker’s Chocolate products for all their holiday baking creations. Using social listening we discovered Holiday Baking Challenge had a highly engaged audience that watches and talks about the show in real-time. To leverage this we developed a real-time content strategy that authentically inserted our brand in the conversation fans were having about the episode. Within 10 minutes of the episode airing, Baker’s drove 144K Twitter impressions and a .87% average engagement rate, 14X higher than industry average (0.062% Twitter average. Source: Rivaliq). People love movies. 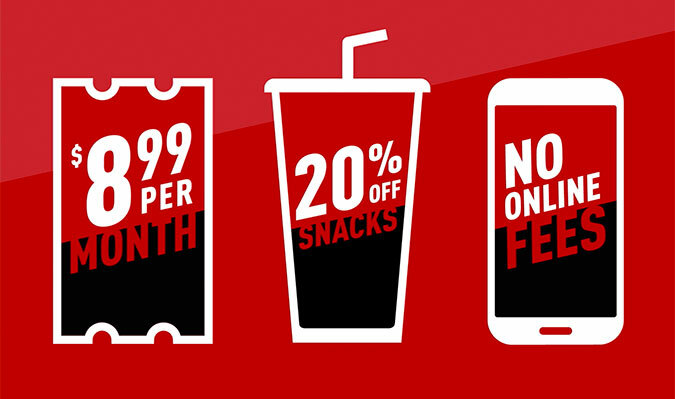 T3 has helped Cinemark deepen loyalty with its passionate movie fans by introducing both new loyalty offerings and evolving the brand’s popular loyalty program. 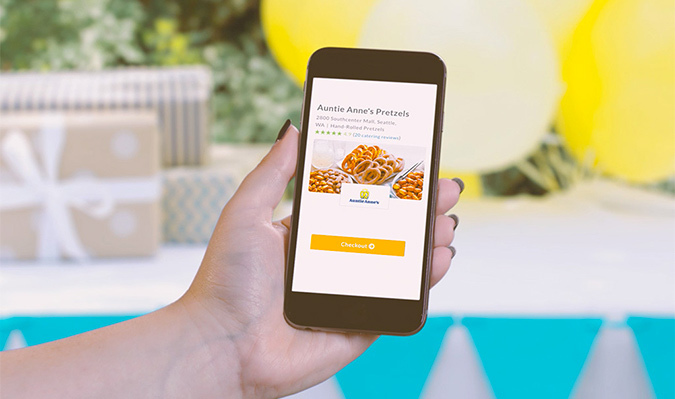 The strategy behind the digital launch of Auntie Anne’s catering.